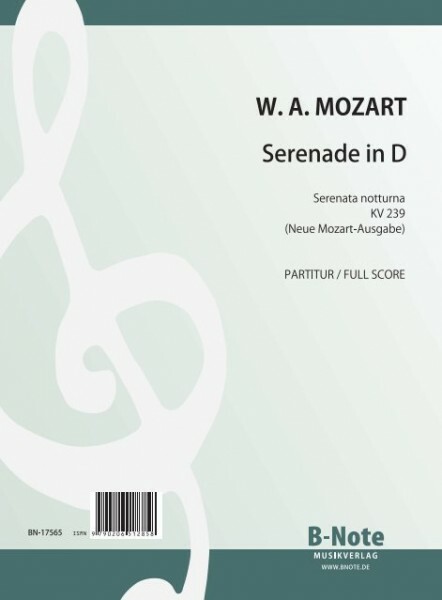 from the New Mozart Edition edited by Günter Haußwald. Set of parts contains each one part of Solo quartet (Violino principale 1, Violino principale 2, Viola 1, Double Bass) and each one of the tutti parts (Violino 1, Violino 2, Viola 2, Violoncello, TImpani). Additional tutti string parts available.